I recently looked at a few of my projects and realized I hardly ever use the color purple. Why is that? Since I couldn't find an answer to that question I decided to create something using shades of purple. I built the easel card on a gray cardstock and added a second layer of patterned paper. For the border I used a Martha Stewart punch and a ribbon. 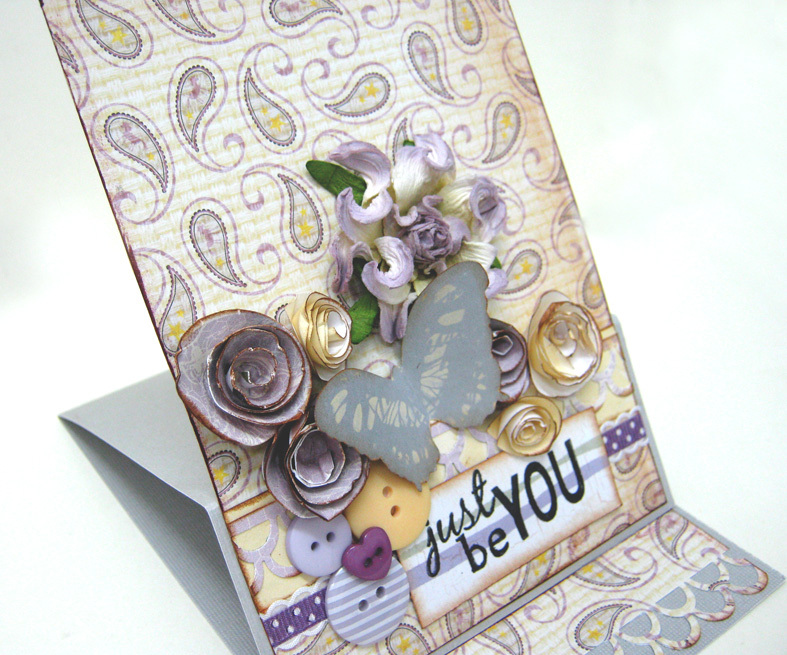 I added a fee handmade spiral flowers, embellishments and a sentiment. I made the stopper a little narrow that usual using the same punch as the border. 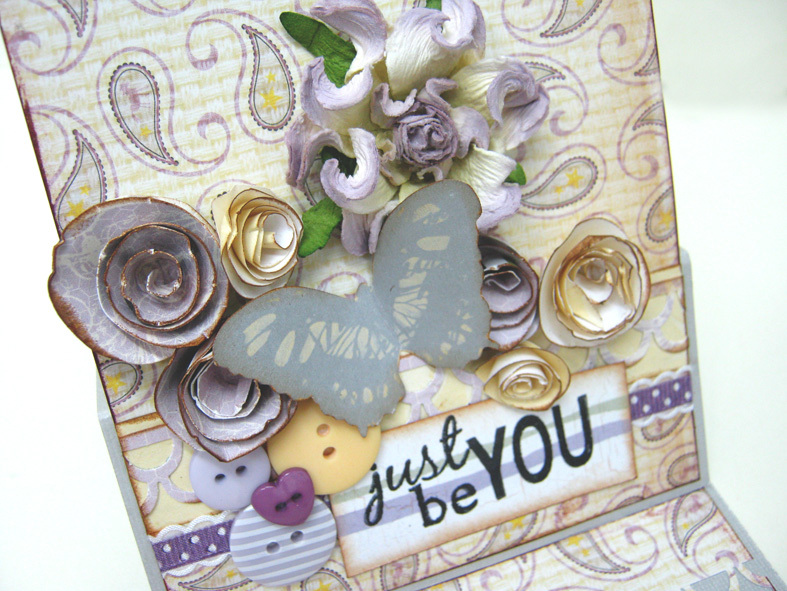 Creative Card crew 1 butterfly, 2 colors (purple and yellow), 3 words. 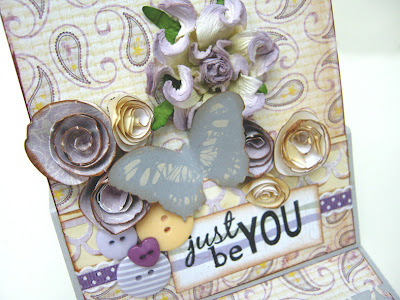 Thank you for entering the latest challenge at the Quirky Crafts Challenge Blog. Beautiful muted shades. This is so pretty - love the flowers! You know..I'm the exact same way! And I love the color once I've used it, but I just never use it! hmmmmm.. Anyway....Beautiful project! 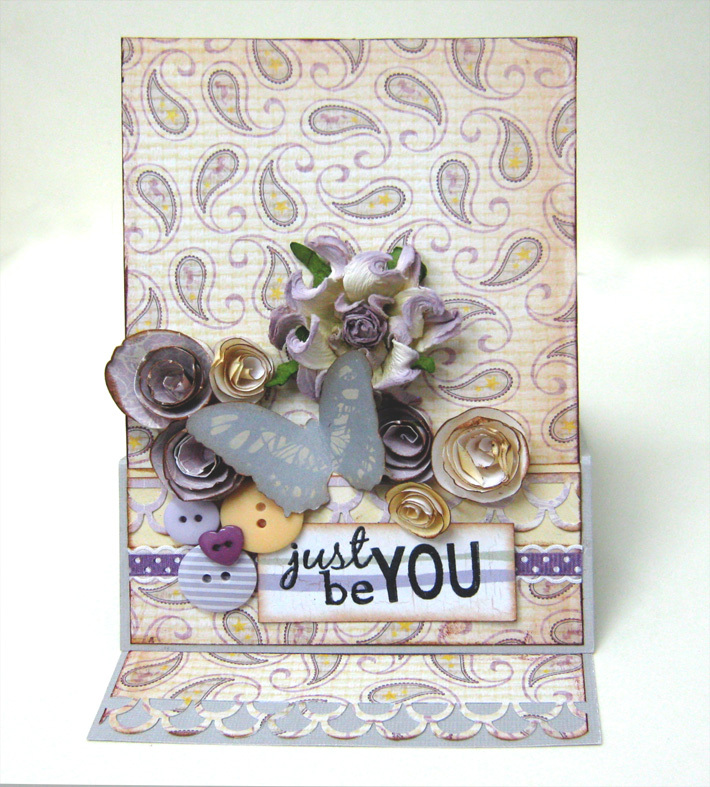 Thank you so much for sharing your wonderful talents with us at Papertake Weekly and I hope you join us again soon! purple but it came out realy nice. 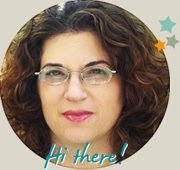 גם אני לא מחסידות הסגול, אבל הכרטיס הזה ממש נותן השראה ליצור! אוהבת מאוד את ההרמוניה בין הרקע, לפרחים, לסרט ולטקסט. מקסים! Absolutely fabulous!Nice design and details. Thank you for joining us at Come and Get it Challenges this week. Beautifully Done, Thanks for sharing your art, great job on following the recipe at Come And Get It Challenges! What a lovely card...the purples are wonderful. 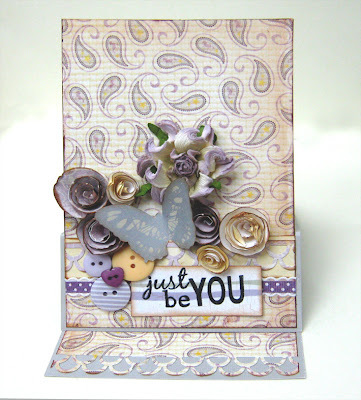 Thanks so much for sharing your talent with us this week on Come and Get It Challenge Blog.